We’ve had great luck with the grape tomato plants this year. They’re producing in abundance, and we bring in collanders full of them just about every night. They are sweet, flavorful, and downright addictive. Michael has been packing sandwich bags full of them to take to work for a snack. Last week I experimented with roasting them, which worked well. 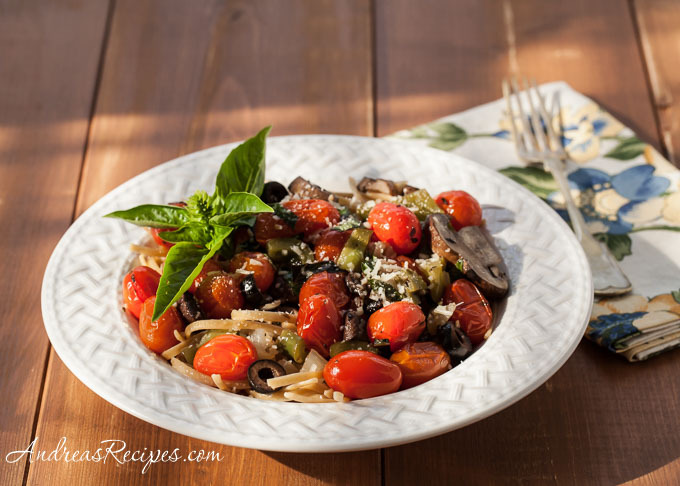 The flavor concentrated and they made a tasty addition to this simple and colorful pasta dish. 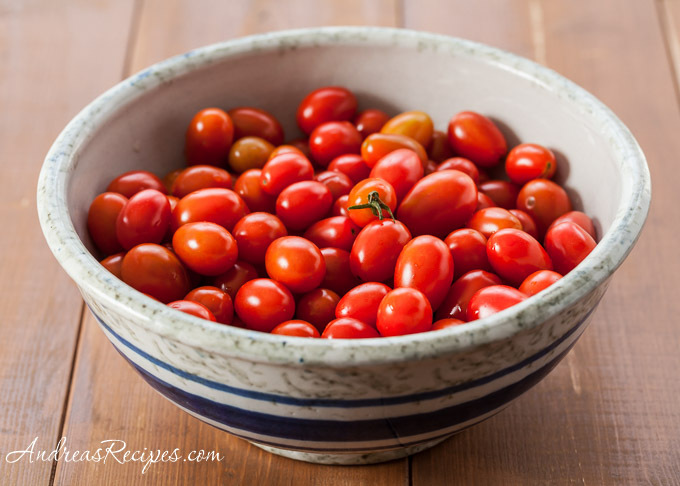 When roasting the tomatoes, dried basil seems to work better than fresh. I found that fresh basil burned to a crisp during the 90 minute stay in the oven. The boys really enjoyed this dish. The youngest kept digging through his bowl looking for the olives and tomatoes.